I tried for years to grow some moon flowers. I was so happy when I finally got it to bloom!! Can I dig up the plant and transplant into pots? I would like to have more control over who and what gets close to the plant since it is toxic! 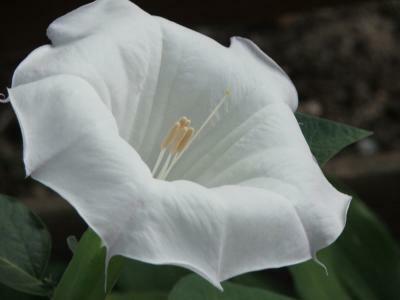 I had two moon flower plants grow in my garden, I had no idea what they were and still have no idea where they even came from. To begin with I thought the were just a weed. Until they flowered. I didn't plant these, never cared or tended to them, and they grew on their own. Is this unusual? I know from past experience how hard it is to get them to grow. This one is beautiful. Wow!! What a shot.